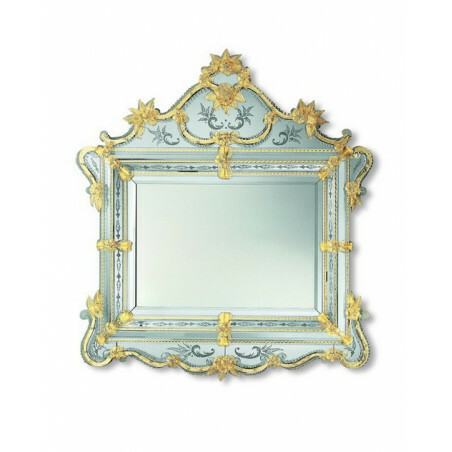 We sell venetian glass mirrors, entirely handmade in Italy and ship them worldwide. Our products are authentic works of art and are all made using the traditional techniques of over 500 years ago. Here you will find only top quality products, genuine and certified made in Italy. The quality of the italian craftsmanship is unmatched elsewhere in the world. Every piece is handmade upon request. It is therefore possible to customise your product in both dimensions and shape. Email us your sketch or photo and our Master artisan will make the mirror of your dreams. Bring a piece of the history of Italy in your room and enjoy the tradition of the most fashionable, attractive, elegant mirrors ever made. Mirrors have had a long and complex evolution over the centuries, but the finest mirror ever created are the venetian mirrors. Venice perfected the art of the hand-crafted mirror. We have these luxurious mirrors made by the best artisans in Italy and sell them to the public as an investment in the taste and beauty of their homes. Please take a moment to learn about why this style of mirror is the best, and why you should buy them through our site. When you buy a Venetian mirror from us, you will know that it is completely authentic. Our mirrors are hand-made and hand-engraved using traditional carvings and glass decorations. All of our mirrors are crafted using glass from Murano in both the main mirror and the decorations, giving you a piece of glass history and the quality that comes from centuries of glass artistry. 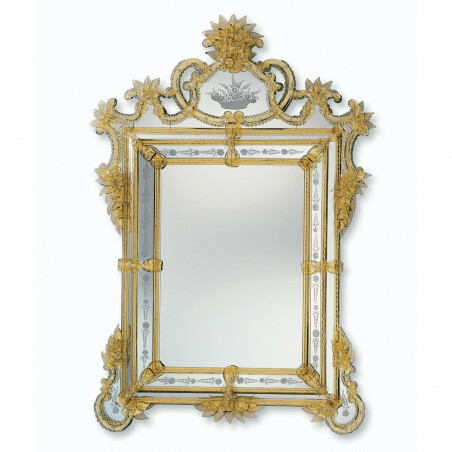 The mirror you will receive from us is the same kind that kings and queens of the 16th and 17th centuries bought and displayed in their palaces. We will treat your order as if it were being delivered to royalty. Our mirrors are shipped directly from Italy in special wooden crates specifically designed to protect your investment. Plus, we carry insurance on all purchases for your peace of mind. 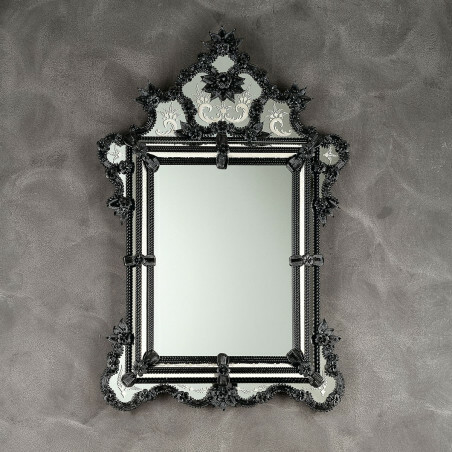 When you gaze into your Venetian mirror, you'll feel privileged to possess such a fine piece of art, history, and luxury in your home. 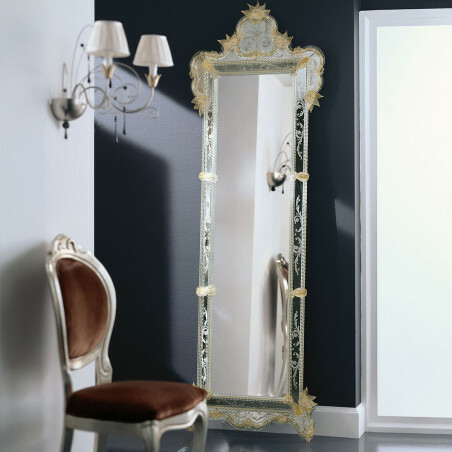 Take some time to peruse our website of fine venetian mirrors right now and imagine having one in your own home.